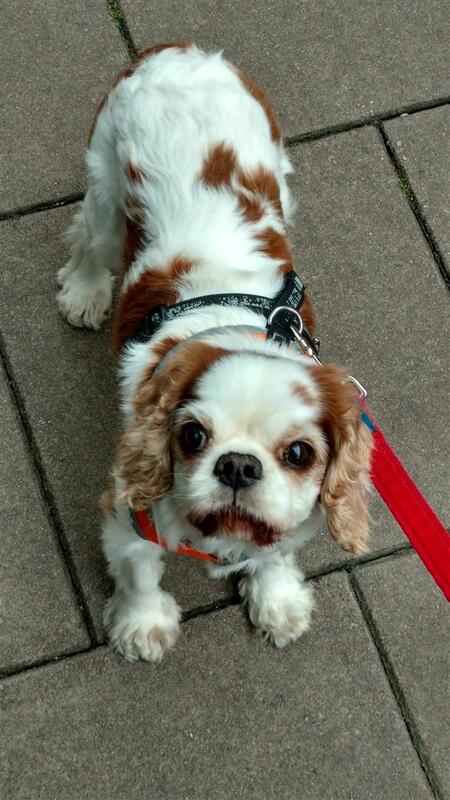 Timothy is a King Charles Spaniel (but not a Cavalier King Charles Spaniel – that’s a similar, but different, breed). On 21 September 2017 he’ll be 12 years old. 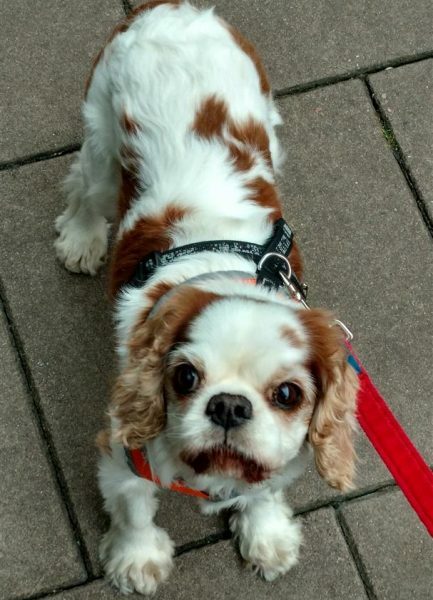 Just before his 10th birthday, in August 2015, he walked for a long way on a warm day and later the same day, had a seizure which we thought was a stroke or some kind of fit. It happened twice, about two weeks apart. Since then, we’ve not let him walk very far – and instead of leaving him at home when we go out for the day – we carry him in a bag. He loves it. Since September 2015 he has been travelling the country on foot, by pushchair, by bus, by boat, by train and by car with his trusty Royal British Legion poppy jute bag. The Royal British Legion poppy bag is just the right size for Timothy, and has very comfortable handles – that’s important when carrying him for hours on end (he weighs about 9 kilos). 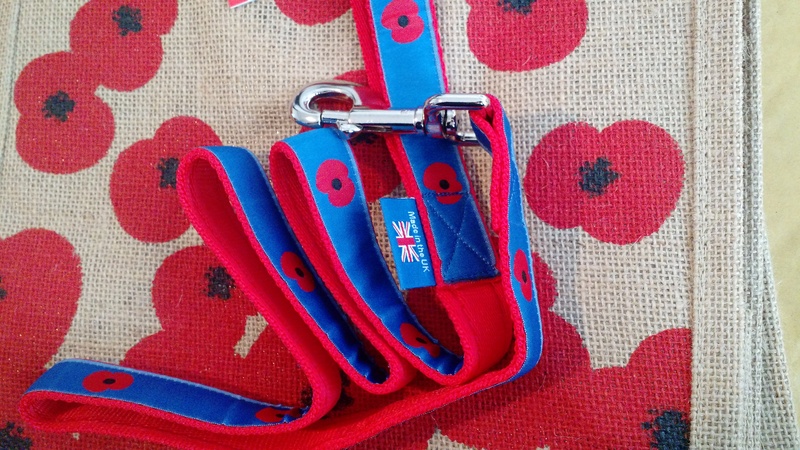 You can get the poppy bag from the RBL poppyshop.org.uk, and the matching poppy lead that Timothy has used exclusively since early 2016. We’ve been replacing the bags about every six months – always British Legion bags, and for continuity in the photos, always the same design.